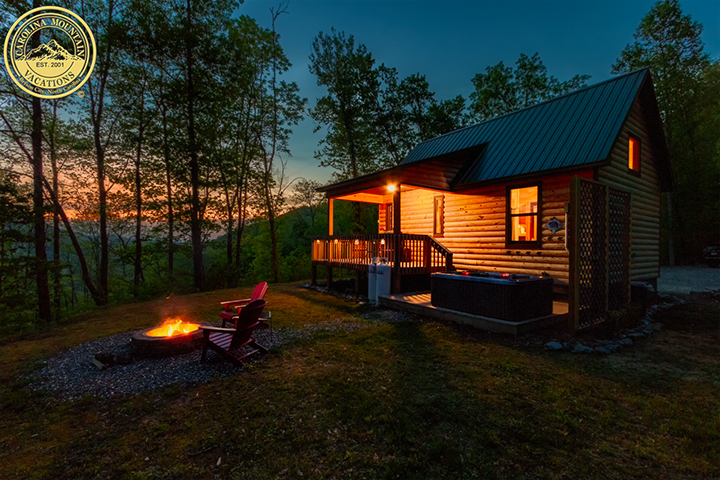 A scenic drive down a quaint back country road will lead you through peaceful forestry as it takes you out to the Red Bear cabin. 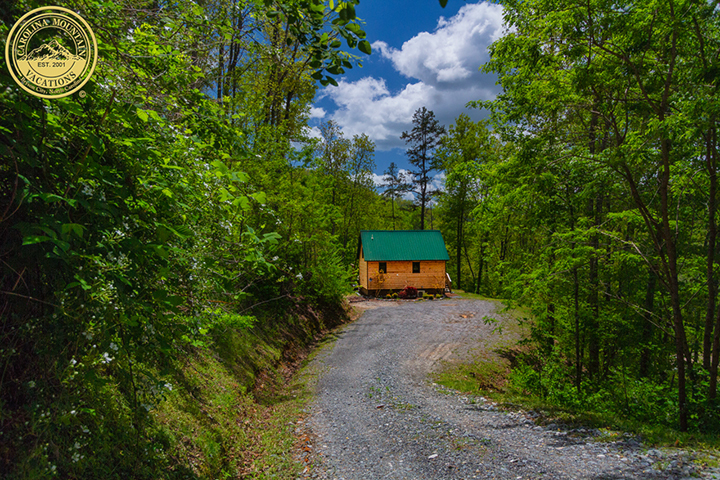 This cabin is located about 5 miles from downtown Bryson City. 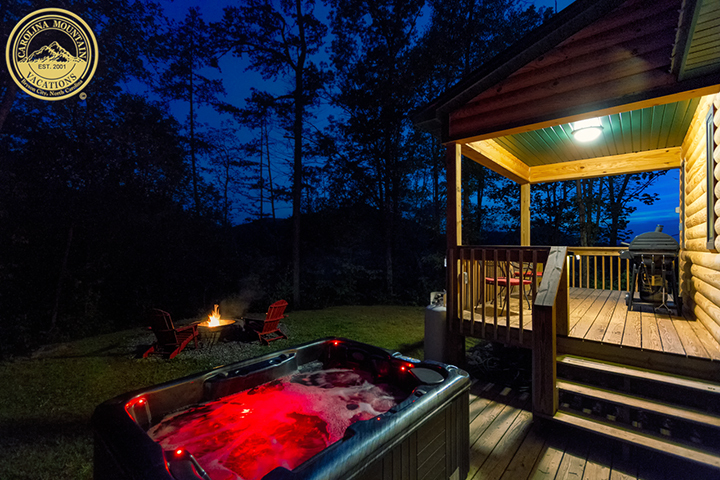 Its location is ideal to access the amazing shopping and dining that downtown Bryson City has to offer. 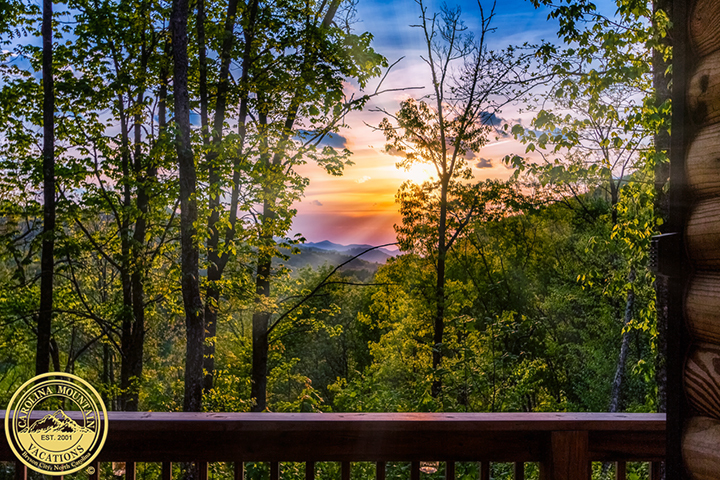 Hike the trails of the Great Smoky Mountains National Park and enjoy breathtaking views of waterfalls just a short distance from your cabin. 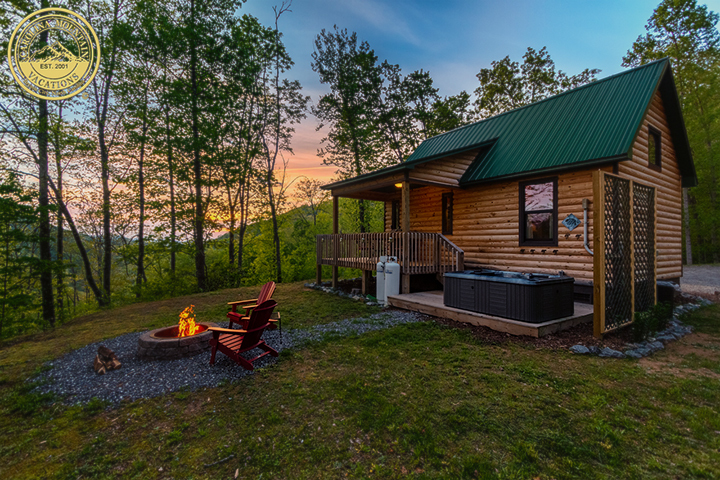 The popular attractions of Cherokee NC, including the Cherokee Indian Reservation as well as the Harrah’s Casino, are a short 25 minute drive away from this cabin. 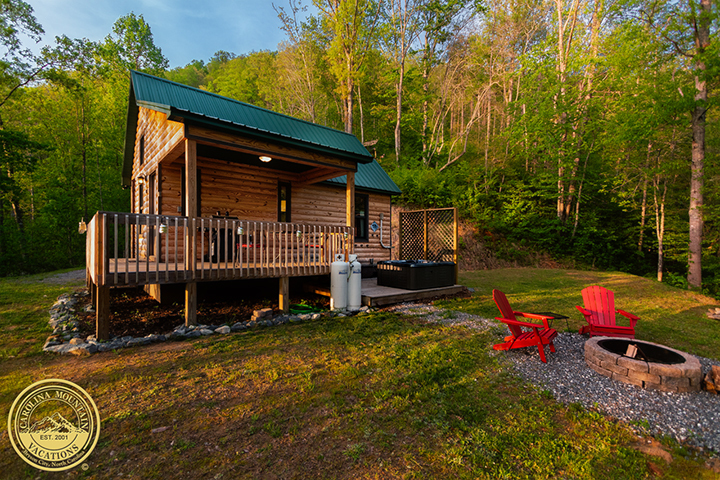 Adventurous excursions like white water rafting and zip lining within the Nantahala Gorge are about 30 minutes away. 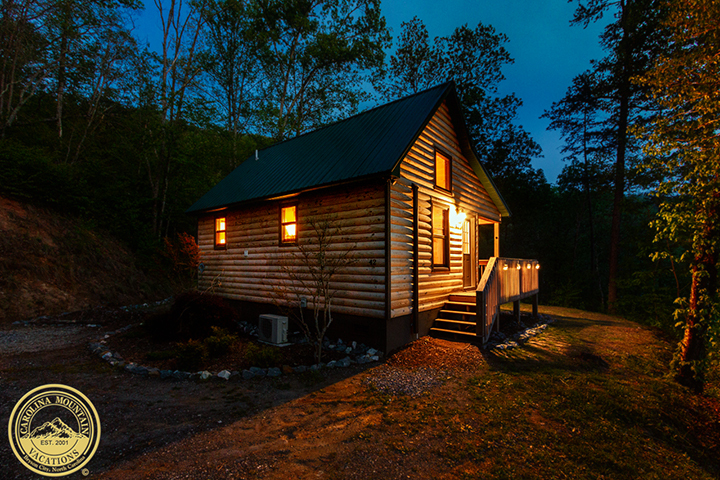 Red Bear is a cozy one bedroom cabin that is tucked away amongst the quiet peaceful forestry of the Great Smoky Mountains. 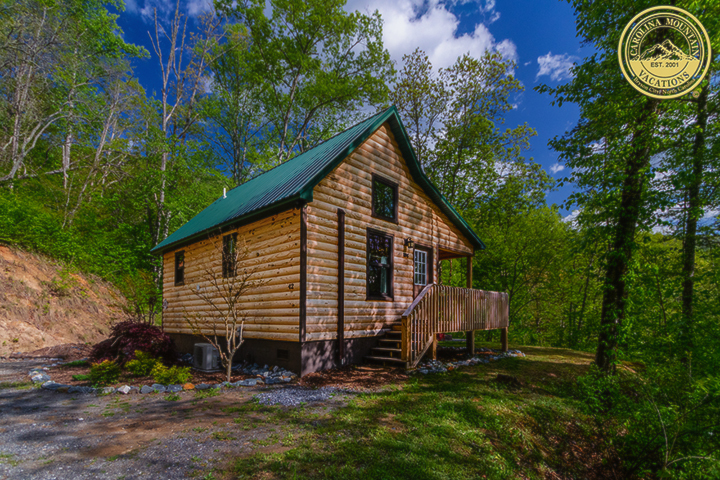 This cabin sits surrounded by beautiful forested views of the mountains. 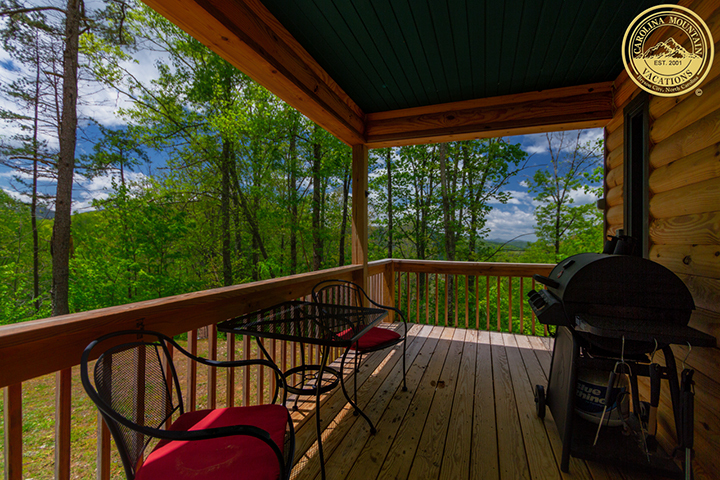 The deck is furnished with an outside table for two and gas grill for your outside dining enjoyment. 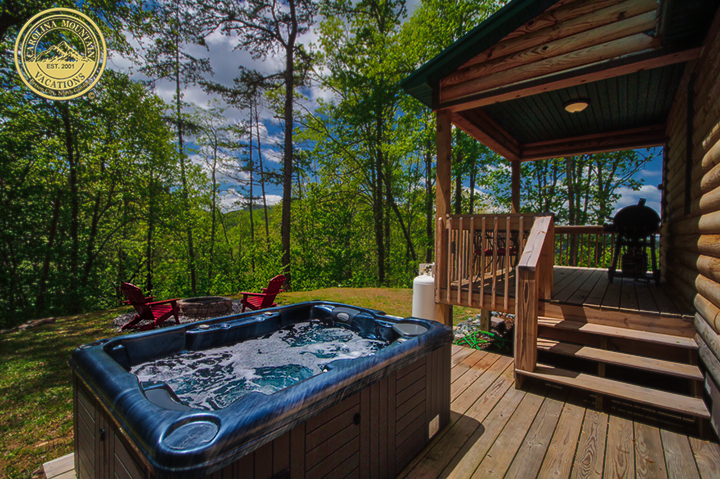 The hot tub is adjacent to the back deck and showcases the amazing forest views. 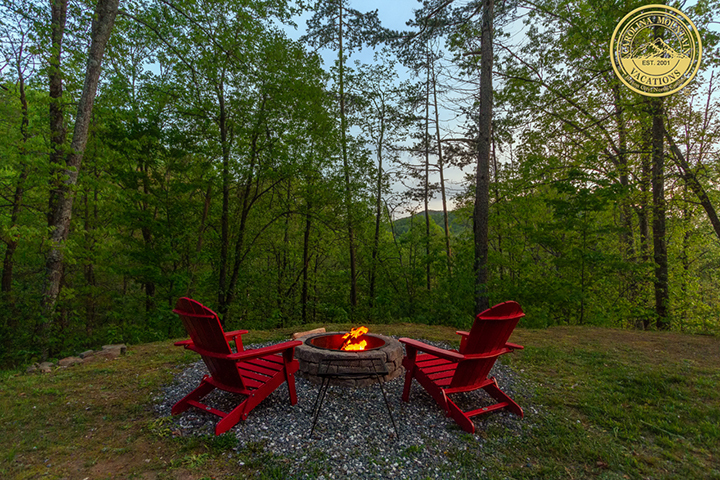 There is a fire pit in the yard with comfortable adirondack chairs for you to relax in and roast marshmallows over the fire pit. 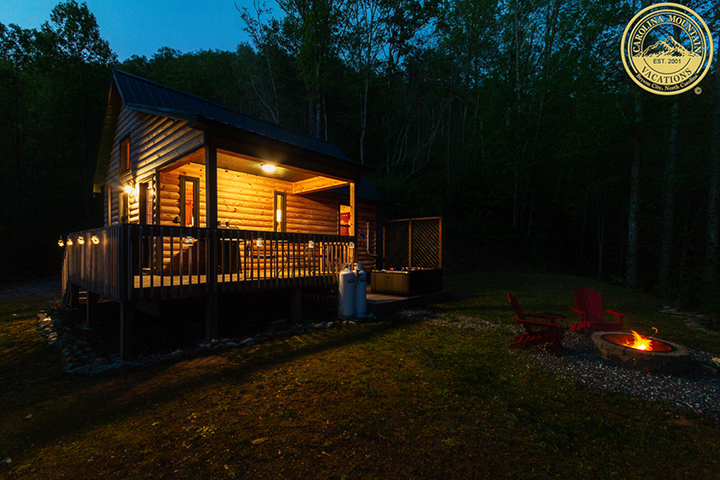 This comfortable and cozy cabin is the perfect location for a romantic getaway. 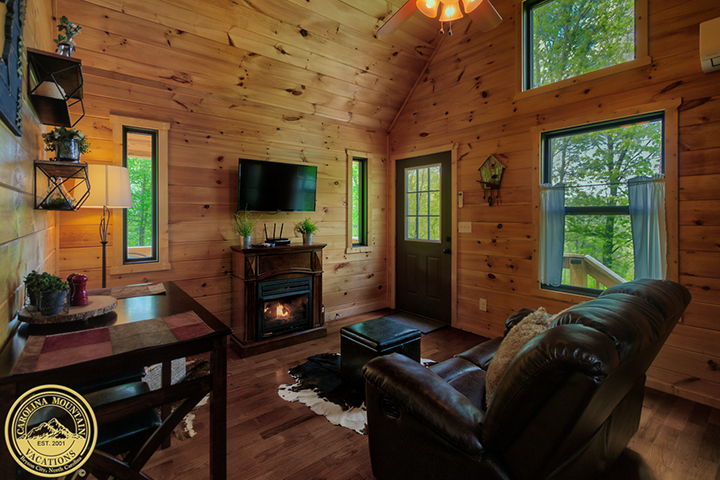 The main room of this cabin combines both the living room and kitchen area. 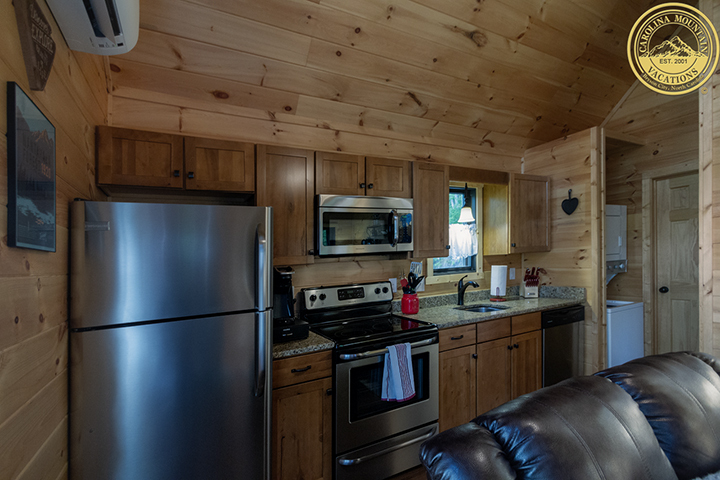 The kitchen is well equipped with everything you will need to make delicious meals while you are vacationing. There is a table in the corner of the room that provides the perfect arrangement for a romantic dinner for two. 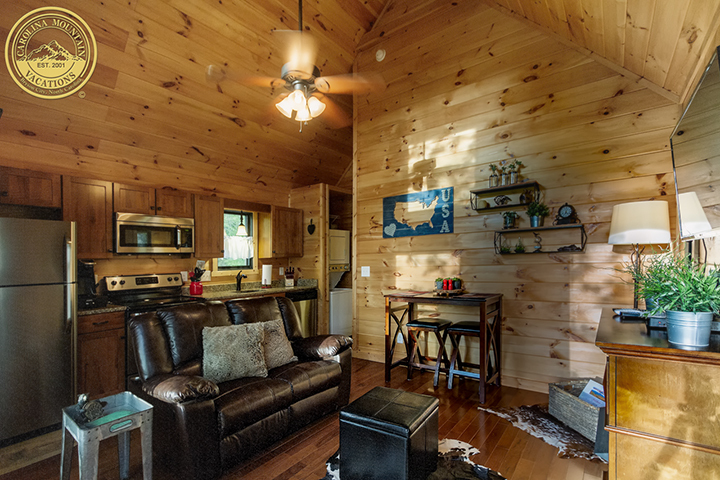 The living room is furnished with a small couch ideal for you to curl up with your special someone and watch a movie on the flat screen tv. 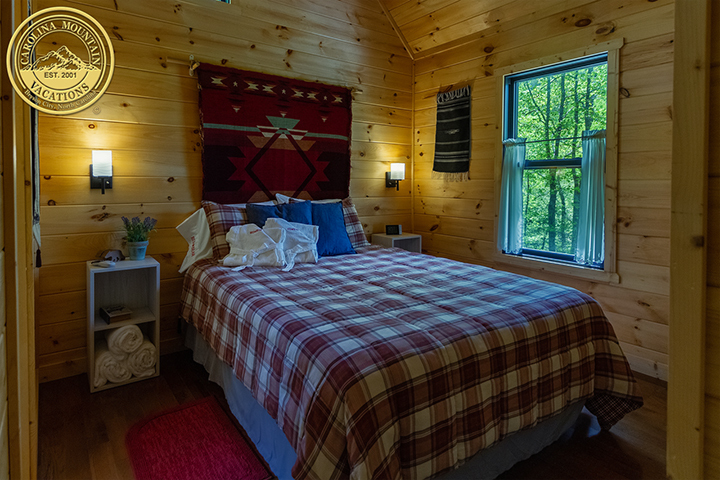 Just past the living room and kitchen area will take you to the bedroom that is furnished with a queen size bed and private bathroom.